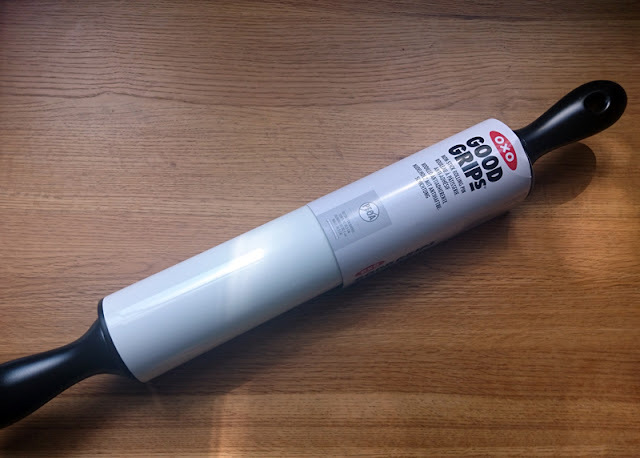 The OXO Good Grips non stick rolling pin is a heavy beast. 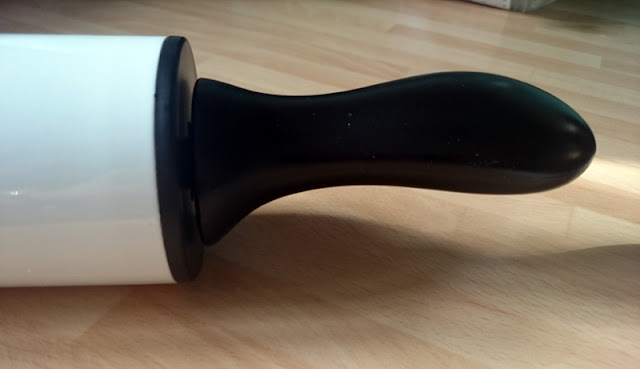 Aside from the coating, I love the shaped handles that always remain the right way up due to the weighted design. The handles enable you to keep your grip (rather than rolling with the flat of your hands) and also stop your knuckles bashing the worktop. The pin is also 30cm wide, so you can get a decent crust top or size rolled out evenly. 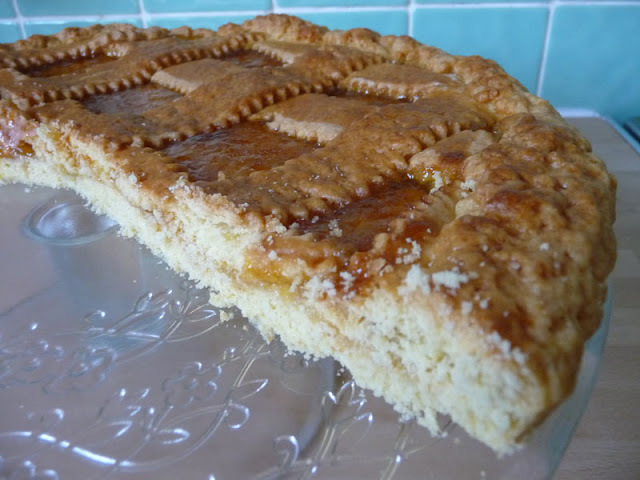 Although I don't use a lot of pastry, when I do, it's normally a beautiful, glossy crostata, which is a large Italian jam tart. Delicious on its own or with a big dollop of sweetened marscapone. One jar of jam (any flavour) or Nutella! Cut butter into cubes & rub into flour until it resembles breadcrumbs. With remaining pastry, roll out and cut strips half an inch wide (use pastry wheel if you have one to make the edges of the strips decorative) and arrange on top of the jam, leaving an inch or so between each strip. 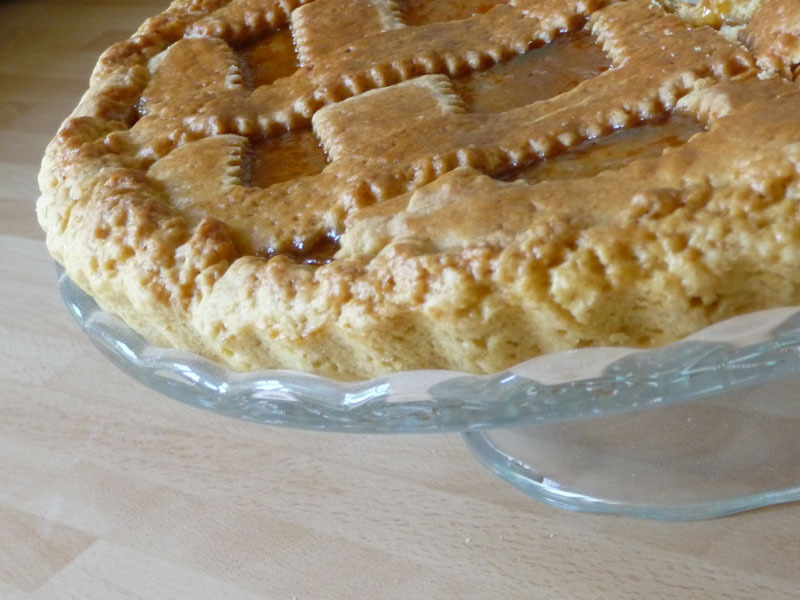 Fold down the pastry on the sides of the flan tin until they seal in the strips & press firmly all around. Brush with beaten egg or milk and bake on the middle shelf of a preheated oven at Gas 5 for about 40 minutes or until the pastry is golden brown. Take out and leave to cool completely in the tin. 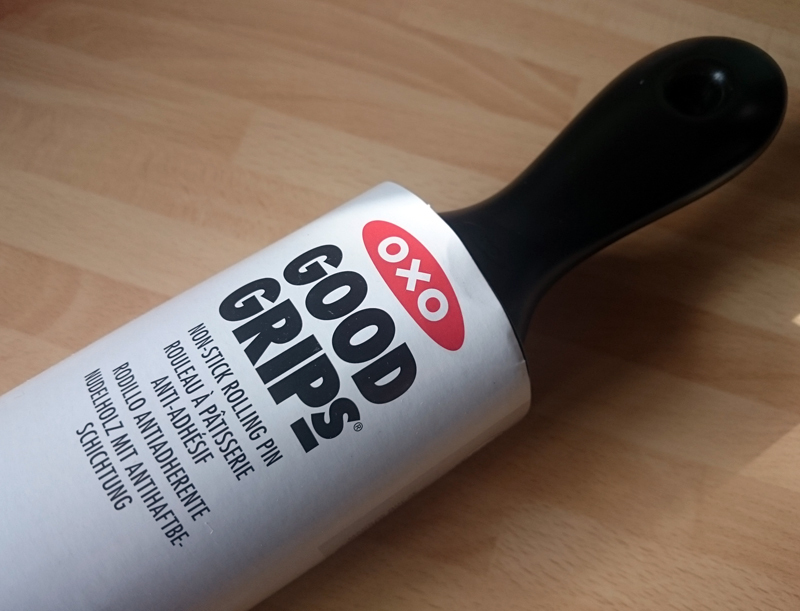 I was sent OXO Good Grips products for review. Words and views, as always, are my own.